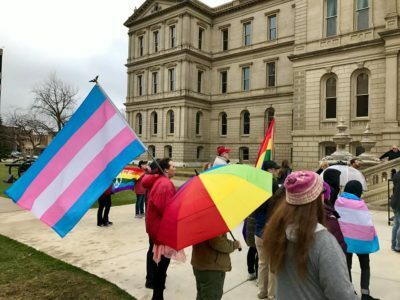 In advance of this Friday’s observance of the Transgender Day of Visibility, rallies for transgender equality are being held nationwide this week, with the latest in Lansing, Mich., Tuesday morning on the steps of the Capitol building. 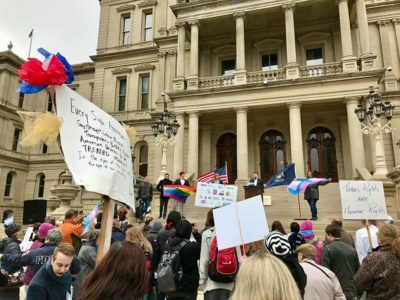 The Michigan rally was in solidarity with Gavin Grimm, the Virginia student suing his school after the being told he had to go to the bathroom in a modified janitor’s closet instead of the boys’ room. The Supreme Court sent his case back to the lower court since the Trump Administration rescinded Obama era guidelines that stated that discrimination against transgender students in school was banned. 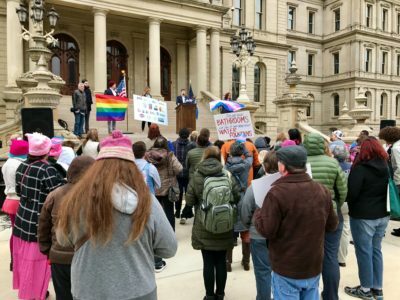 A similar rally was held in New Haven, Conn. Tuesday, with a larger one planned for Hartford on Saturday; other trans rights events have taken place in cities from Iowa to Texas and from Tennessee to Wisconsin and California over the past week. 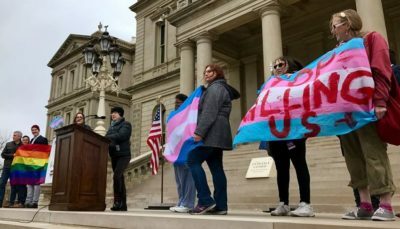 The message in Lansing, though, went beyond the bathroom. 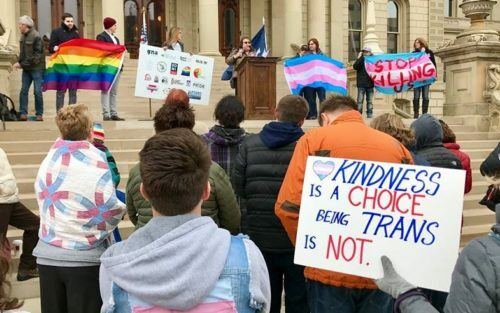 The Transgender Day of Visibility is marked each year on March 31.